1st Capability Building Workshop on Case Writing in Collaboration with the Case Centre, U.K, 9 - 11 August 2017, New Delhi. In collaboration with The Case Centre, UK. India Case Research Center (AIMA-ICRC) is being established to develop, publish and distribute India –focused research cases for global consumption. 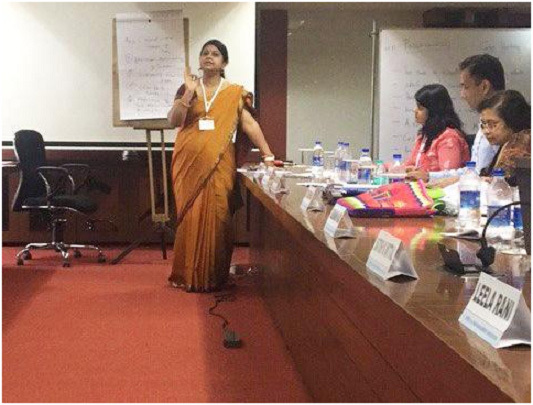 To achieve these objectives, the first workshop on Case Writing in collaboration with the Case Centre, UK was successfully organized-from 9-11th August in New Delhi, to identify and train faculty members/ researchers/ scholars who could write effective India centric cases for AIMA. The workshop was conducted by Dr Urs Muller, Programme Director and Head of the Practice Group –Consumer Goods and Retail,’ European School of Management and Technology (ESMT), Germany. The workshop was attended by 17 scholars, including four from AIMA. 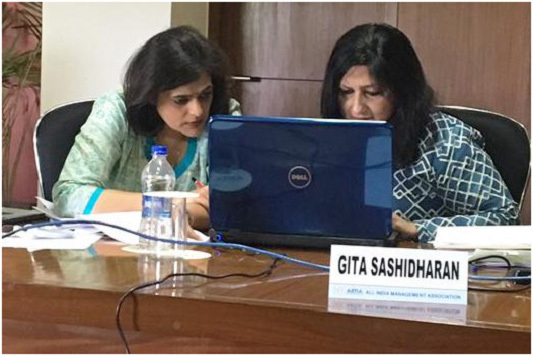 The three-day workshop provided rigorous training and in-depth insights about the case writing techniques with requisite knowledge and skill set of participants to write teaching, managerial and research cases. A very productive first morning of Case Writing workshop at All India Management Association (AIMA) in New Delhi with our case writing workshop participants.Urs Muellerthe faculty,has been putting them through their paces. 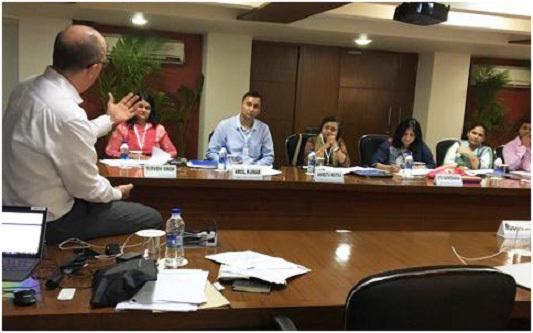 Day 2 of our case writing workshop is well underway at the All India Management Association (AIMA) with Urs Mueller. Participants are enjoying leading sample cases as well as having a go at writing their own. Our case writing workshop comes to a close at the All India Management Association (AIMA) today. Participants are pairing up and evaluating their cases. Hope you've all had a great few days with Urs Mueller and Kate Cook. The AIMA case research center is established after a lot of discussion, deliberation and research. The purpose of setting up of India case research centre at AIMA is primarily to focus on developing and publishing Industry based India-focused research cases. These cases will be part of AIMA intellectual products. The Case Research Centre will not only support in creating an opportunity to convert business challenges into business cases but also help in creating an ecosystem for case development, publishing and distributing at international level.